One fundamental belief at Amerikam is the importance of continuing education. This is evident in Amerikam’s partnerships with higher education institutions, as well as on-site instruction. 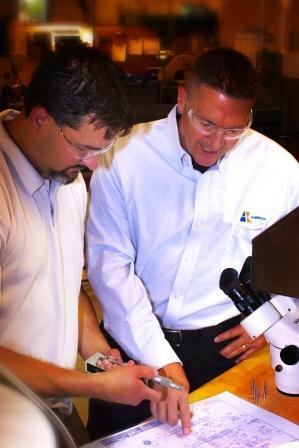 Michael Ragon, Amerikam’s Quality Assurance Manager, trains our staff in metrology and blueprint reading. Metrology training reviews the basics of reading analog gages and helps staff better comprehend the various types of gaging used. Blueprint reading gives an in-depth understanding of how to read prints that come from Engineering. Everyone in the facility is trained in these areas.